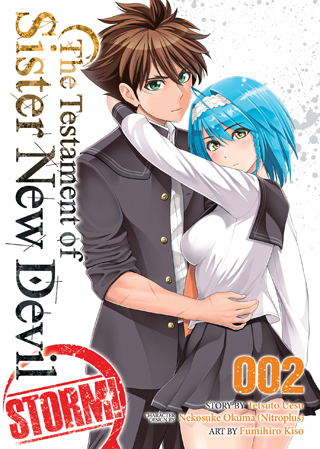 Series: The Testament of Sister New Devil Storm! High school student Toujo Basara is about to learn the true meaning of “master and servant”! His demonic step-sisters want to deepen their mystic bond–and with a succubus involved, things are bound to get heated. But when new houseguests arrive, will things get even hotter? Passion and amorous antics abound at this ex-hero’s household!